The Skinny: Gordon Chan's sci-fi drama is thoughtful, but still painfully underdeveloped. 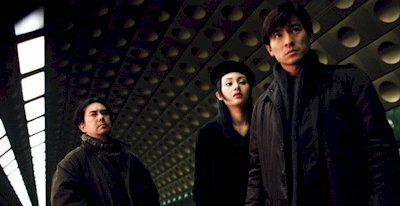 Hong Kong goes sci-fi existential with this end-of-the-world mystery starring Andy Lau as Dr. Ken, a top scientist who gets targeted by a strange cult. Called “The Brotherhood of Technology,” they’re a secret cartel who have banded together because they believe that the end of the world is nigh. To validate their claims, the Brotherhood of Technology use spontaneous combustion to off the non-believers. Now it seems Dr. Ken is next on their list. Making things weirder is Dr. Ken’s dead girlfriend Michelle Reis, who pops up now and again in ghost form to confuse everyone. Of course, this is tied into the Brotherhood of Technology, which begs the question: are these crackpot Nostradamus wannabes correct?